All the fighters slated to participate in tomorrow night’s “UFC Fight Night: Cowboy vs. Miller” event tipped the scale Tuesday inside Revel Casino Hotel in Atlantic City, New Jersey. 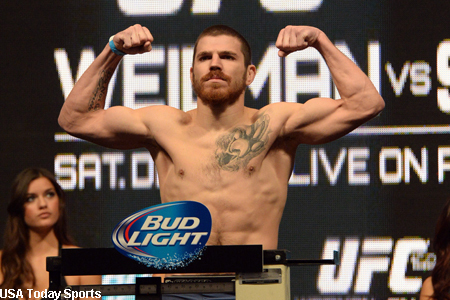 Jim Miller looks to snap Donald Cerrone’s three-fight winning streak in tomorrow’s featured contest. A lightweight affair between Edson Barboza and Evan Dunham serve as the co-main event.